Senior Memberships are available to individuals aged 62+ and their partner. Benefits include a Full Club Membership at a reduced joining fee and lower monthly dues. Senior memberships are a month-to-month term. 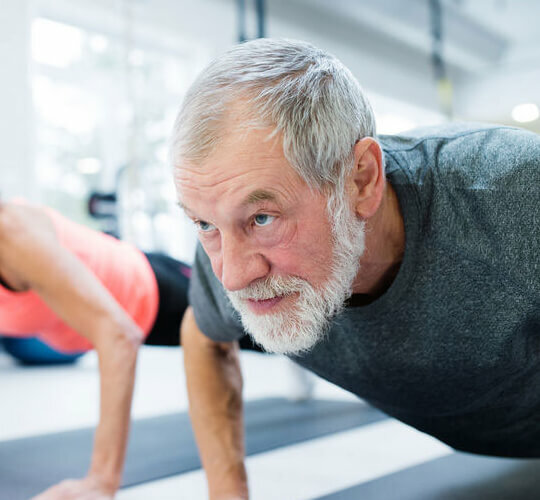 Silver Sneakers® is a nationally certified program designed to help people 62+ increase their muscular strength and flexibility through seated exercises. Certified instructors provide participants with a group-exercise environment that enables progressive exercise participation, encourages peer-oriented socialization, and even offers fitness and nutrition education. Each class is designed to increase muscular strength, range of movement and skills required to enhance daily living. Hand-held weights, elastic tubing and a ball are offered for resistance and a chair is used for seated and/or standing support. As participants’ conditioning increases, the program expands to more challenging movement exercises that provide additional cardiovascular and muscular benefits. For more information, please contact Justin Olson, Senior Fitness Advisor at Lloyd Athletic Club 503-287-4594.